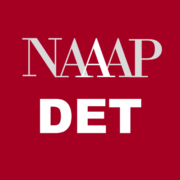 Please note that NAAAP Detroit will update the website to reflect any modifications to by-laws. Any upcoming modifications will be noted on the website. The by-laws is provided for informational purposes only and is the sole property of the organization. Please contact NAAAP Detroit at contact@naaapdetroit.org if you require any information on the by-laws reproduced on the website.